This option allows you to create your own password. 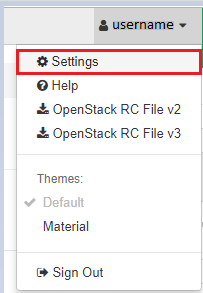 Click the 'View Dashboard' button. On the top right, click your username. From the dropdown select 'Settings'. 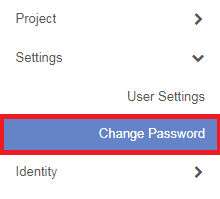 In the left menu under 'Settings', choose 'Change Password'. 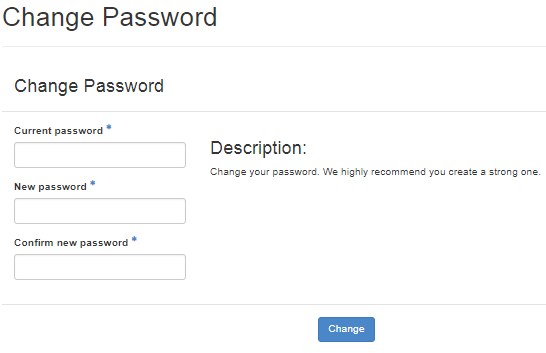 When finished entering the new password, click the 'Change' button on the bottom right. Please note that it may take a few minutes for the change to take affect. This option creates a random password for you. Click the 'Reset My Password' link. DreamCompute page. 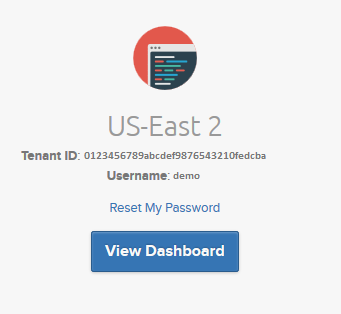 A success message displays with your new password.